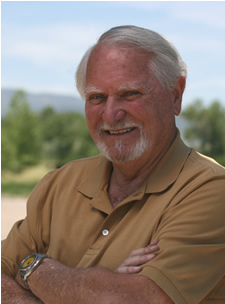 Welcome to the official site of the Clive Cussler Collector's Society. Through our society, enthusiasts who appreciate the life and works of Cussler are able to learn more about past, present, and future Cussler related projects as well as locate other fans and collectors throughout the world. For ease-of-use, we have arranged information about our society under various category headings. Simply scroll down the list of categories below to locate the information that meets your needs. When you have found an area of interest, you may either click on the main category name or photo. You many also click on a sub-category to jump quickly to the information you seek. The Clive Cussler Collector's Society's 2018 Convention will be held in Charleston, South Carolina on October 5th-6th-7th. Unpublished writers in the adventure genre can vie to be the next Clive Cussler by submitting their original fiction manuscripts for a chance at the $1000 grand prize. The winner will be announced at the 2018 Clive Cussler Collector's Society Convention in Charleston, South Carolina.. Through the CCCS, we produce and preserve an accurate historical record of all events pertaining to Cussler, Dirk Pitt®, NUMA, and The NUMA Files. Originally created as an informal group, the society has become the premier organization for people who admire the life's work of Clive Cussler. Items related to Clive Cussler have become highly collectible over recent years. Collectors who focus on these items are an interesting and diverse group of people. Whether engineer, teacher, farmer, or business executive, there are many different types of Cussler collections and collectors. Available only to CCCS members, The Sea Dweller provides an intimate look at the life of Clive Cussler and his associated works. Whether it's the latest news about an upcoming film, a closer look at his personal car collection, or a bibliographic expose on a rare paperback printing, you'll find it all here. The Members Only section of our site is only available to those members who have joined our society. Society membership dues are used to pay for technical services related to the hosting of this site and to further the cause of the society. You must have a current username and password to access this section of our Web site. When you join the Clive Cussler Collector's Society you are provided access to information available to only a select number of collectors and fans. Take a look at the many reasons why you should consider joining our society.